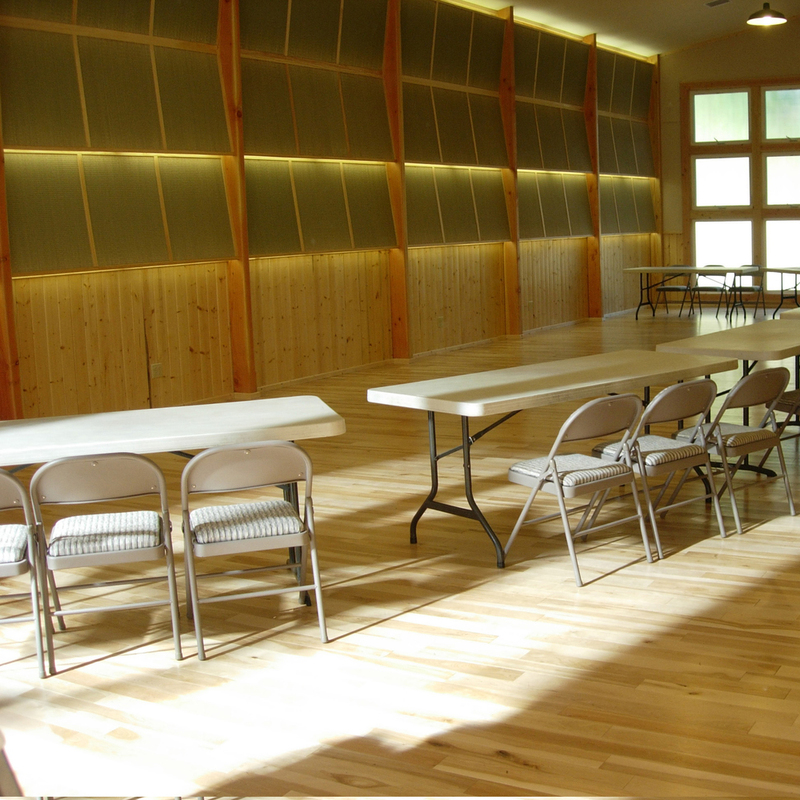 This structural project ranged from renovations and additions to the existing community hall and affiliated buildings, to the design and construction of a new community center. Endres Ware's structural design focuses on attaining an air of weightlessness, most notably in the form and visual impression of the four roof trusses of the main multi-purpose space. To achieve the desired effect of a light, floating roof, we honed the points of the trusses that appeared to hold a great deal of weight. By sculpting out the material we were able to reveal the structure’s true force lines. 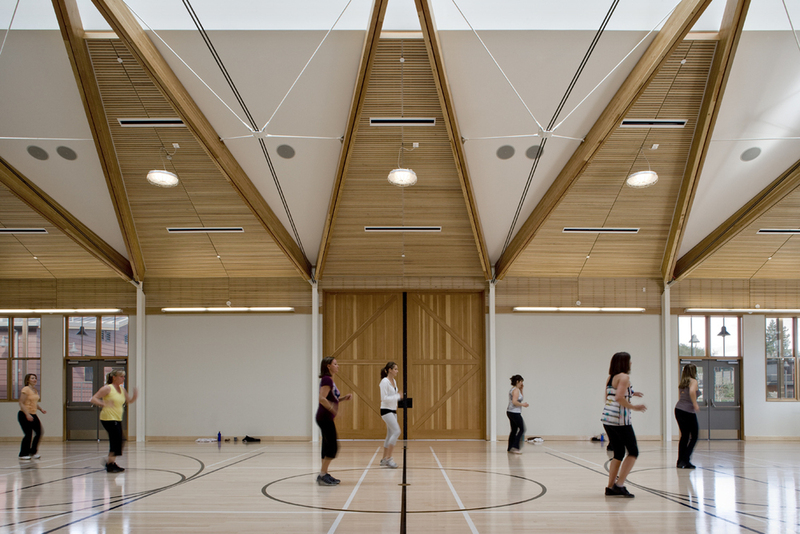 Adding lighting at the base of each wood glulam beam further accentuates its independence from the wall. 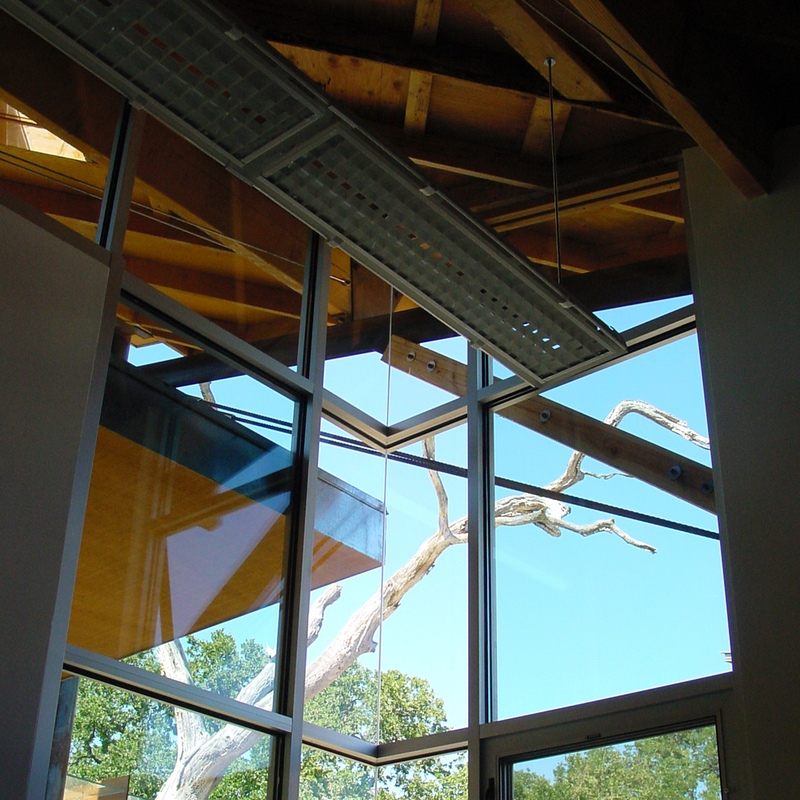 The lasting impression is one of a gravitational paradox as the wood and steel truss appear to hover above the building. The project is LEED-certified from the U.S. Green Building Council. McClellan Ranch is a 15-acre historic city park that includes seven buildings related to the site’s agricultural past. 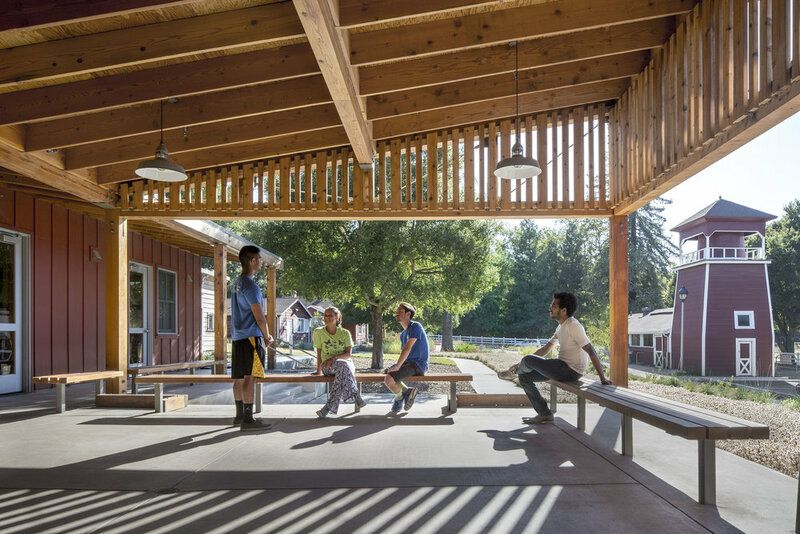 The project encompasses the historical assessment of the existing ranch buildings, proposals for their adaptive reuse, as well as a new environmental education center. 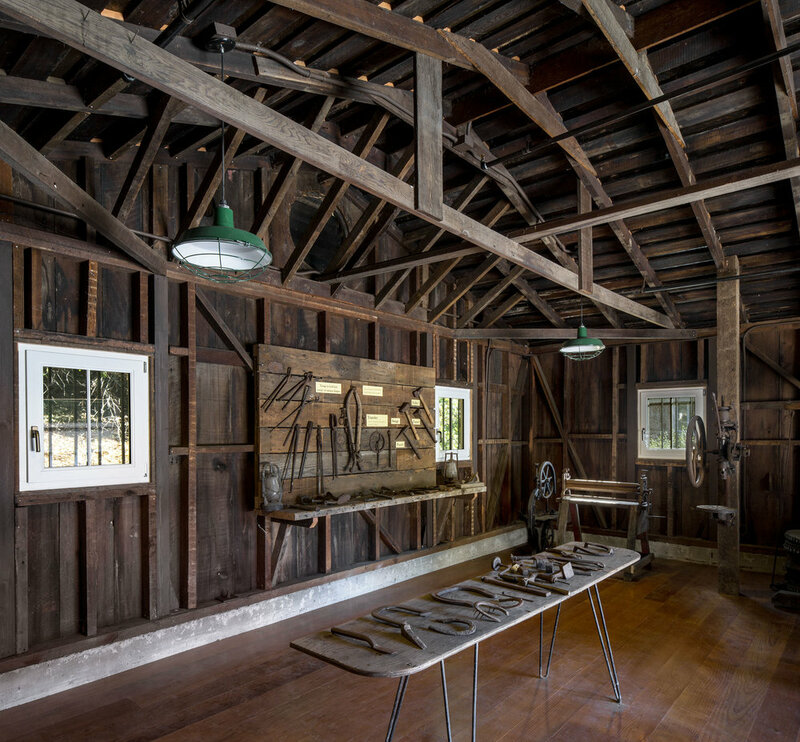 The center gives the public greater access and awareness of the McClellan Ranch historic and natural preserve. Ware Associates provided the structural engineering design for the new Environmental Education Center (3,268 SF) as well as the proposed structural upgrades for the existing blacksmith shop (586 SF) and barn. A detailed Historic Structures Assessment report, including recommendations for structural upgrades per FEMA 310 and the CBC Historic Building Code, was prepared for each of the existing wood framed ranch buildings. Set on a nature preserve overlooking a lake, this biological research laboratory complements its surroundings with a dynamic structure using energy efficient and environmentally sound construction. This 10,000 SF biological research laboratory features a cantilevered column system with composite steel cable and wood trusses. The repeated truss elements are characterized by exposed connections. Round tube steel columns cast in the foundation cantilever upwards as the building’s vertical support. 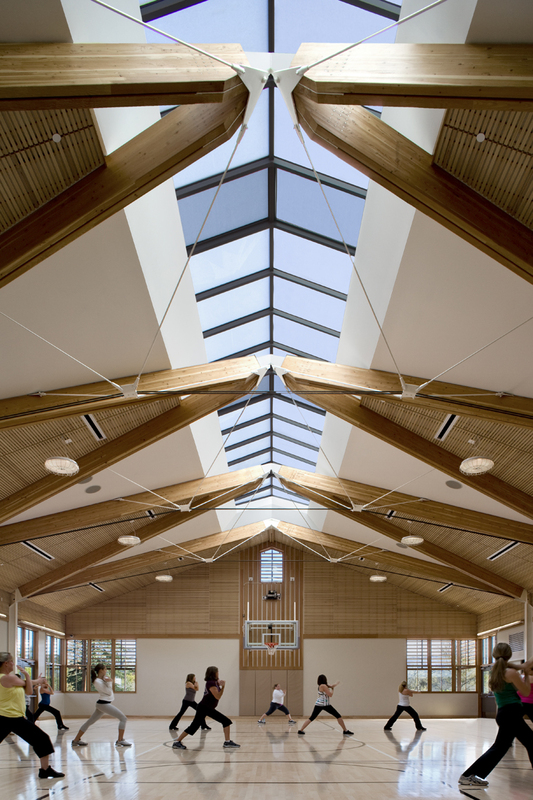 Composite trusses utilize a W-flange top chord, wood subsections, and an elegantly small inverted steel rod kingpost that terminates in an eyebolt, which holds the tension cable bottom chord. The Yosemite Bug Mountain Resort is located at the west end of Yosemite Valley near Midpines. It has a magical, naturally-sheltered ambiance perched under a grove of Black Oaks and just below the open chaparral. It offers a variety of accommodations for all budgets, a health spa, as well as group and meeting facilities at a reasonable value. Formerly a Boy Scout Camp, Endres Ware was commissioned to help renovate the Bodie meeting room and the ground floor of the main lodge facility to include a reception area, changing rooms, bathrooms, wooden sauna, a hot tub, massage soaking room, and yoga studio. In addition, a new entry to the lodge as well as several new cabins types were designed for the Yosemite Bug. This structural steel design for the public infrastructure included benches, movable steel display platforms for sculptures, pigmented concrete walks, and sculptural structural elements. 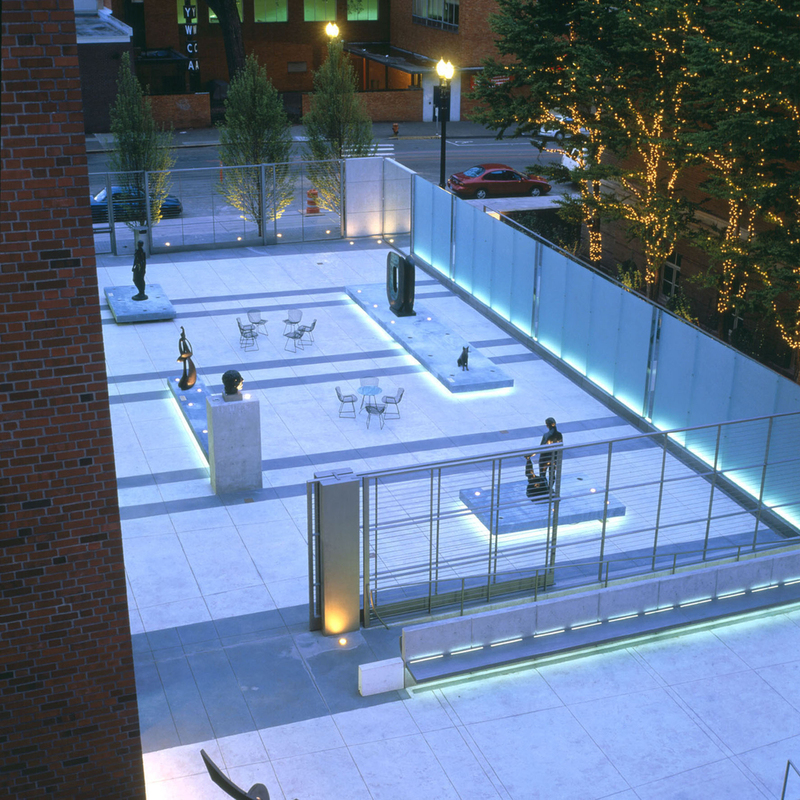 An edge-lit ten-foot-high cantilevered glass wall softly delineates the courtyard's boundaries.